In the mean time, you can visit my NEW ITEMS page and see what Art Rains has been up to in the past year. I am still asking for your patience while I work on this web site. Art Rains web page is getting a new look and being updated. So stay tuned - it is still in process! Art Rains offers you beautiful, original, and creative works of fine art and quality artisan crafts as well as ideas for personal inspiration. for collecting, and for pleasure. Here you will find fine art prints, artistic photography, blank note cards, and handmade jewelry and other items. 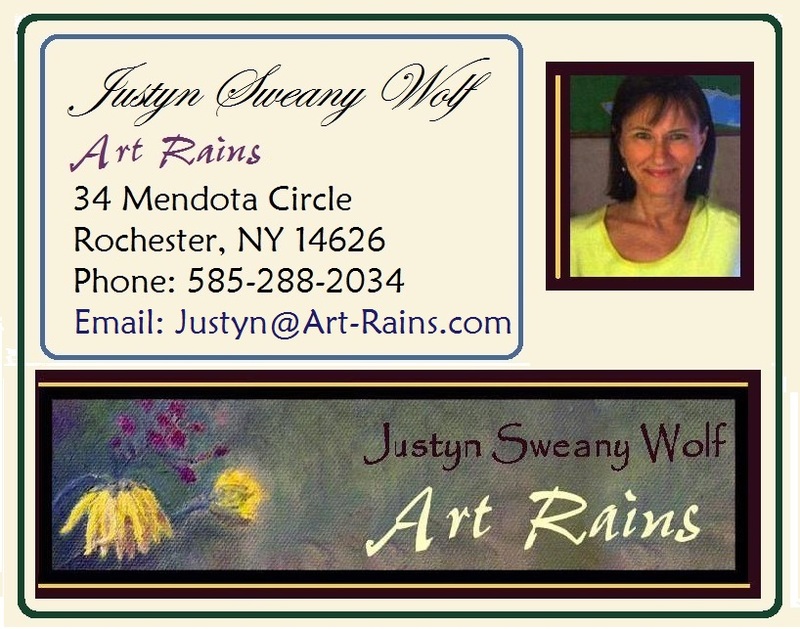 You can read biographical material about Justyn Sweany Wolf (creator of Art Rains) and the birthing of Art Rains on the “About Me” page. Check back frequently to follow the updating of new items and inventory in each category. just want to chat or leave comments. Please provide me with your email address if you would like to be contacted when new items are posted. © 2013. Art Rains. All Rights Reserved.